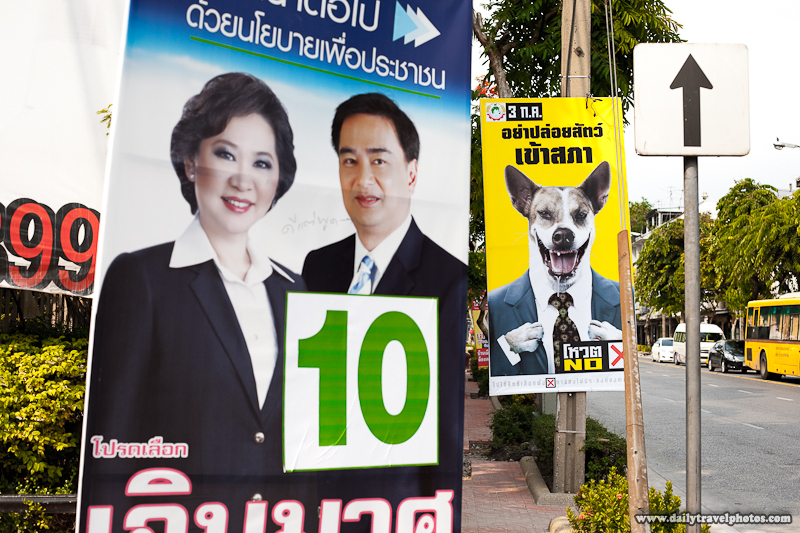 Campaign posters for upcoming elections featuring a salivating dog. 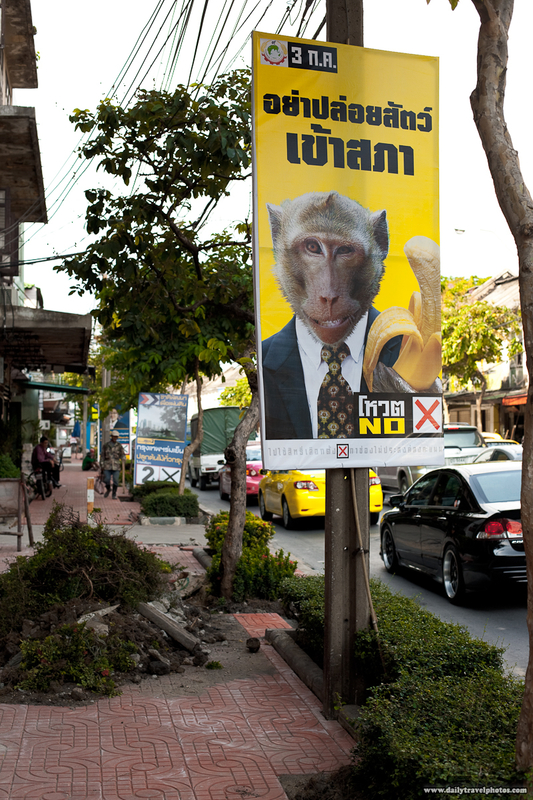 A monkey holds a banana in an election campaign poster. I'm voting for the well dressed monkey that appears to be promising bananas to its electorate! I asked around and it turns out these animal campaign posters has something to do with a general message to voters urging them to think before they vote and not vote for any animals on the ballot... or something to that effect. Someone went up that abandoned building by the State Tower and put up a couple of gigantic animal banners off the side of the building. Then someone else went up and tore a bunch of holes in them. Whomever that was, I don't think they were big fans. Dang, that's a lot of step climbing for a silly banner fight!